jShowOff is a jQuery plugin for creating a rotating content module. It works by creating 'slides' from the child elements (eg. <li>) inside a specified wrapper element (eg. <ul>) on which .jshowoff() is invoked. It then rotates through the slides, with options for controls, links, and more. This type of module is often used to promote pages, sections, or features on a site. 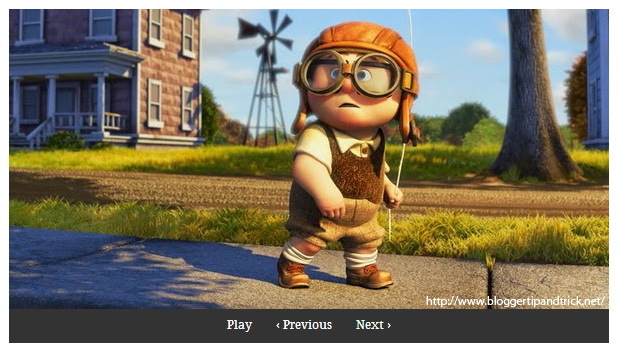 To include jShowOff jQuery Content Slider to your blogger blog, follow the steps given below. Login to your Blogger account and go to "Template"--> "Edit HTML" of your blog. License: 	Dual licensed under the MIT and GPL licenses. Save your template and go to "Layout:. You can change/replace slide links, slide images and other HTML content with your own content. Now you have successfully added jShowOff jQuery content slider to Blogger. How would I change the time interval for the slides to rotate? change value 3000 to other value you like. Thanks for you wonderful tips that has just set me off to blogging!